Viva Sherry Week. What an outstanding tasting this was. Bottle ageing, seasonality of sacas, wine making, static and dynamic effects. 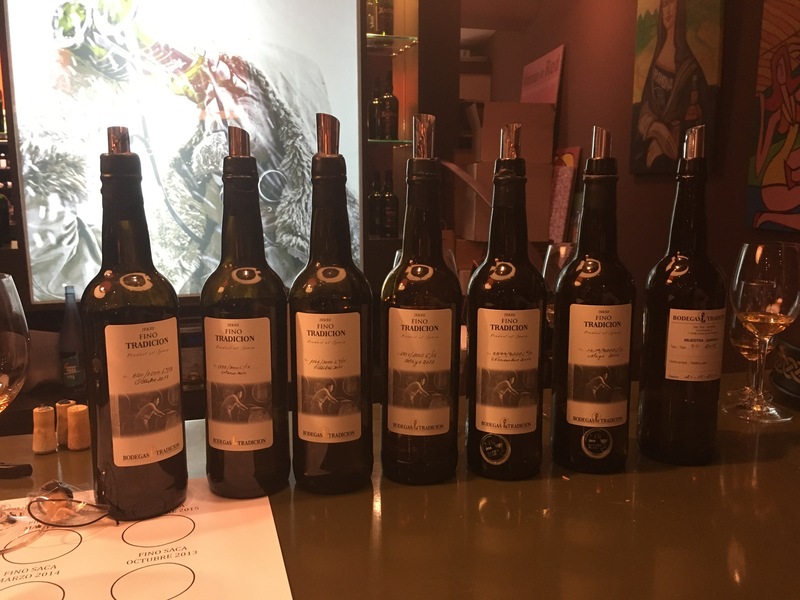 Tasting a line up of brilliantly made finos, with a clear family thread but fascinating individual personalities, and with the information to make sense of some of it. And the Tradicion Amontillado to finish – absolutely epic. I will write this all up – 8 1/2 pages of notes – as soon as I make sense of it all. For now, just sincere thanks to Reserva y Cata and Bodegas Tradicion for a really top class event.